ProspAir Jet Charter, LLC was in need of a new user-friendly, website where their passengers could easily book their flight plans. It was important that the website looked and functioned well on mobile devices enabling customers to make their flight plans on the go. 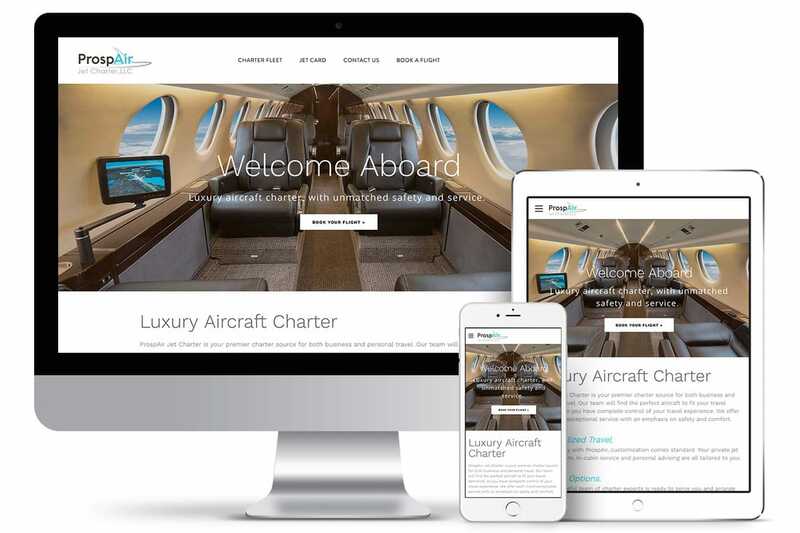 Leveraging large impactful photos and a luxurious-yet-approachable look, PROSPER Creative Design delivered an attractive website that set up ProspAir Jet Charter for success.